"Batman vs. Two-Face," featuring the final performance of Adam West as Batman, arrives from Warner Bros. Home Entertainment on Blu-ray and DVD ... TODAY, Tuesday, October 17. Warner Bros. 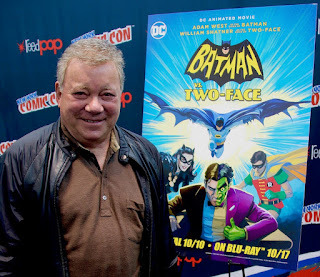 Animation and DC Entertainment bring together two of pop culture’s all-time heroes – TV’s original Batman and Captain Kirk, Adam West and William Shatner, respectively – to voice the title characters in the full-length, animated feature film, Batman vs. Two-Face. Warner Bros. Home Entertainment will make the all-new movie available October 10, 2017, on Digital and October 17, 2017, on Blu-ray. 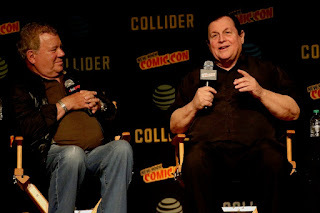 •	“The Wonderful World of Burt Ward” (featurette) – Spotlighting Burt Ward’s life away from acting – particularly his many benevolent activities, and his lifelong devotion to the health and welfare of dogs. •	Adam West Tribute Panel/2017 Comic-Con International 2017 – At the 2017 Comic-Con International in San Diego, a panel celebrated the life and times of the late Adam West, the legendary “Bright Knight.” Fans laughed, cried and cheered as actress Lee Meriwether (Catwoman from the 1966 Batman movie), director/writer/actor Kevin Smith, actor/radio personality Ralph Garman, producer James Tucker and moderator Gary Miereanu captivated the audience with anecdotes and tales about Adam West. 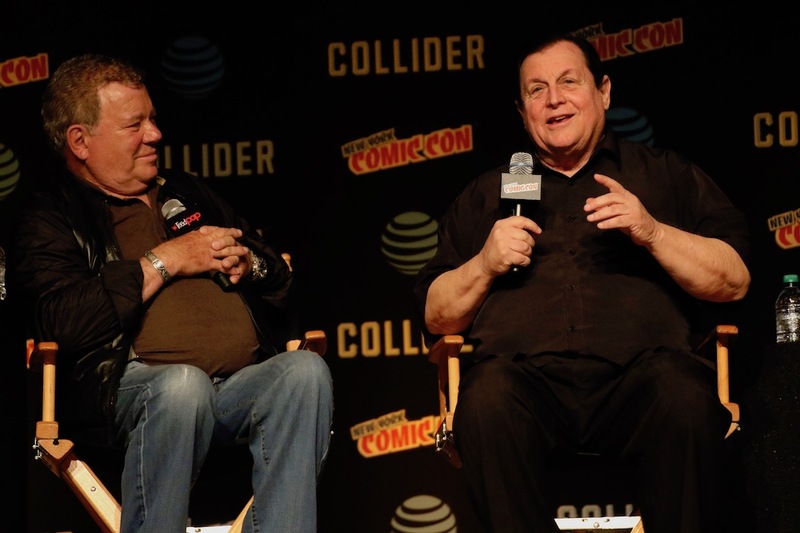 •	Actors Burt Ward and Julie Newmar discussing various aspects of their lives, ambitions, and inspirations.